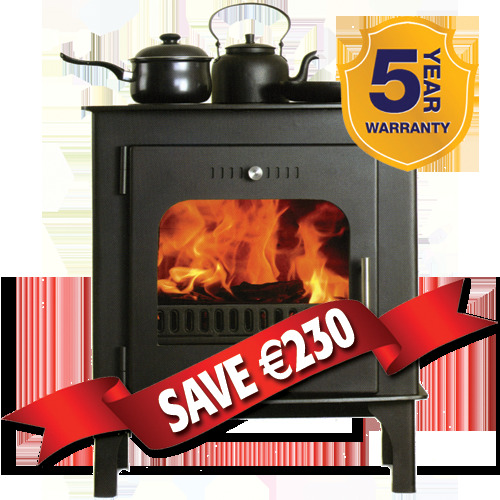 The Carraig Mor boiler model has a massive output of 25kw. It heats up to 15 radiators and gives an Impressive 4kw to the room. Also available in Double Sided. Colour options available.